Do you want to feel more loved? 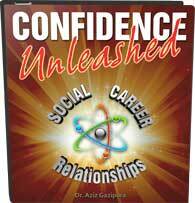 Do you want to experience confidence in people’s attraction to you? Would you like to feel more likeable and generally assume that people want to be around you? If you’d like to feel that way starting now, then stay tuned, because today we’re going to be discussing the ability to love for ourselves more so that we can let the love of other people in. There’s a huge amount of love out there that we could be experiencing every day, but then we don’t feel it because we don’t feel love for ourselves—in some cases, we don’t even like ourselves. We believe this so fully that when we feel inadequate, we turn off the ability to receive love at all. We tell ourselves these things, the if/then statement kicks in, and we close the spigot that allows love to flow freely into our lives. Here’s the problem: the if/then statement is a non-sequitur. You don’t need to meet any criterion to earn love. You are enough just as you are to be worthy of love. In fact, you are already loved. Right now, there are people in your life who love you and who are willing to give that love freely. You’re currently swimming in an ocean of love, approval, and acceptance. You are a spring—a continual source of love. What if you don’t have to be any better than you are right now to love yourself? What if you are good enough? I had a client who was dealing with the if/then statement at work. She really looked up to one of the higher-ups at her organization and would question herself over and over every time she saw her. In preparation for an upcoming mixer, I asked her what would happen if she knew that she was already enough—how she would act if she already knew this woman liked and respected her. Without missing a beat, she said she’d feel confident and outspoken; she’d feel good about what she had to offer to this woman and everyone else around her; she’d speak more freely and enjoy the conversation more. The truth is that you can be loved right now for exactly who you are. Your appearance is lovable; your personality is lovable; your capabilities are lovable. Even with your current struggles, anxieties, mood swings, failures and setbacks, you are good enough to deserve and receive love. So, how do we move past that mental obstacle to love? How do we let go of our if/then statements so that we can open ourselves up to the ocean of love awaiting us? Personally, I like to use imagery to combat this problem. Start by tossing off your if/then statement with some kind of sound and physical gesture. It can be anything—just make some kind of loud noise, get physical, and toss it away. Then imagine the spigot that controls the flow of love leading directly to your soul: where does this spigot exist in your body? Imagine a stream of love flowing out of it: what color is it? Now, just breathe in deeply as you imagine this stream—this unconditional love—surrounding you as it bathes you in appreciation and positivity. Imagine the people who love you and who are sending you this love. Turn the spigot up all the way and let that love come pouring in. As you begin to relax into that love and energy, you will feel yourself relax and gain confidence in yourself and your worth. As you do this, remember: you are already enough; you are worthy of this love just as you are. As always, please feel free to “like,” subscribe or share your comments below. How have you learned to accept and love yourself for who you already are? How does it feel to let more love in? Share your experiences so that your fellow viewers can learn from you and feel your support. 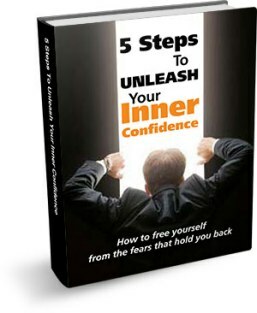 If you want to dive more deeply into this experience, please visit my website, www.SocialConfidenceCenter.com, where you can watch more videos and access my free eBook, Five Steps to Unleash Your Inner Confidence. Until we speak again, may you have the courage to be who you are and know on a deep level that you’re awesome.